66123 passing Laira Jn, near Plymouth, with a heavily delayed Cliffe Vale to St Blazey clay working from the previous evening! 3 October, 2003. 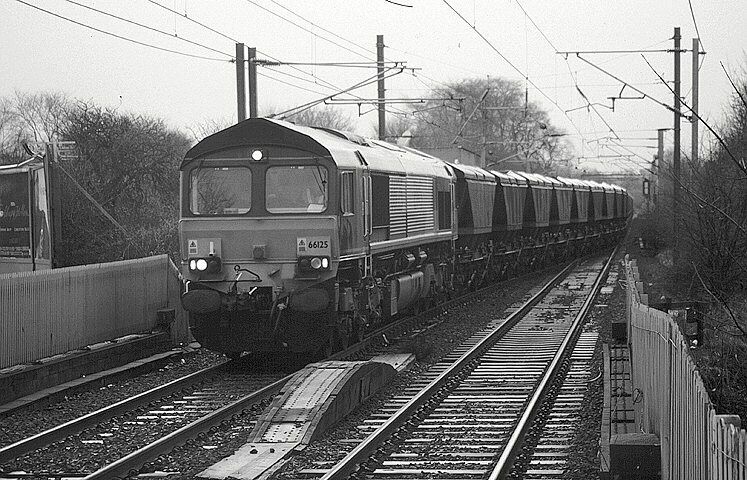 66125 approaches Slateford station in Edinburgh with an unidentified eastbound M.G.R (coal) train on Monday 10th January 2000 @ 13:44. Awaiting it's next turn of duty which will not take place until Monday 66126 stands silent in Millerhill Yard a rake of empty M.G.R (coal) wagons on Sunday 8th August 1999. 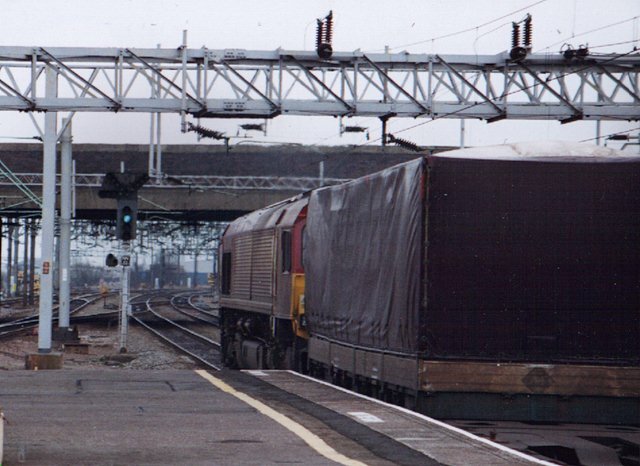 66128 stands at the head of a rake of 'Monster Box' wagons filled with spoil while awaiting the right of way at Crewe on Saturday 22nd January 2000 @ 15:35. 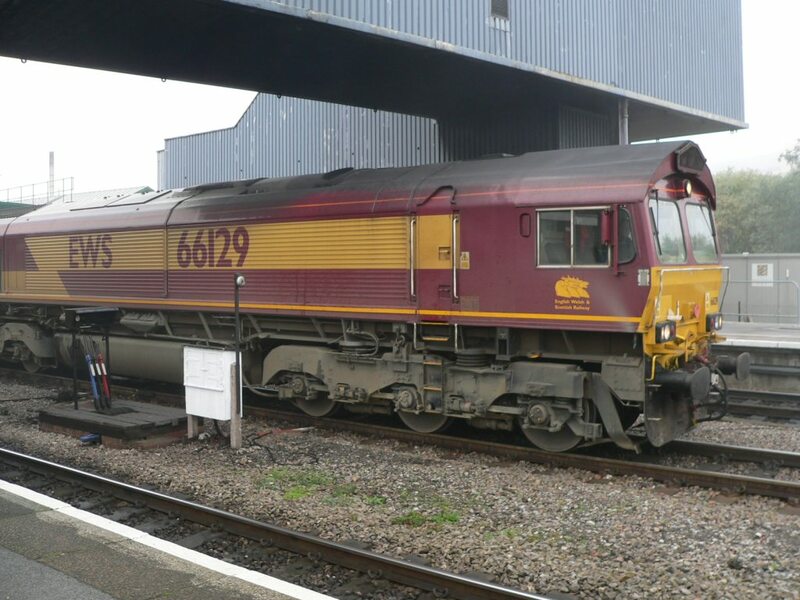 EWS’s 66128 pulls past the down fast platform very swiftly at Nuneaton. This was the last frame on my roll of film and I couldn’t turn my head quick enough to get a head-on shot. It was pulling that strange pallet and one single flat car with the tail light attached to it. 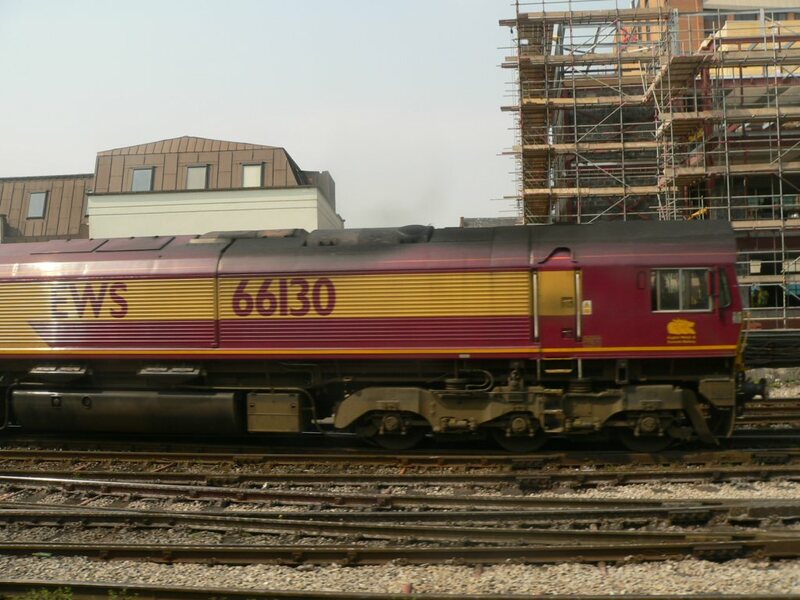 The 66’s are reasonably quiet in operation, when not hauling heavy loads. 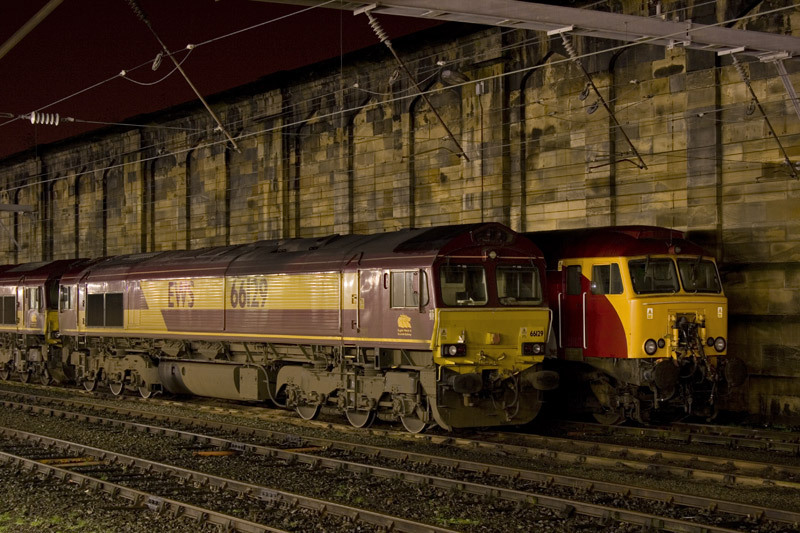 EWS Class 66 - 66129 is pictured stabled in the company of Virgin Trains Class 57/3 - 57312 'THE HOOD' at Carlisle station on the late evening of Thu 28th December 2006 at 22:55. 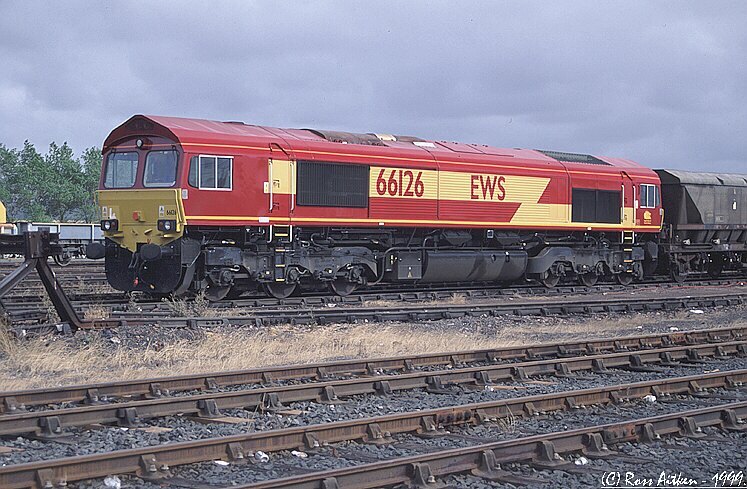 EWS Class 66 Diesel locomotive. 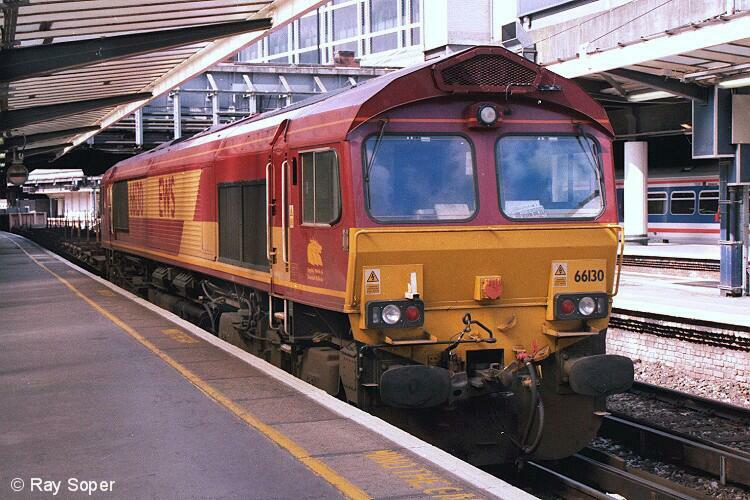 EWS 66130 on an engineers train at London Victoria on Sunday June 23rd, 2002. 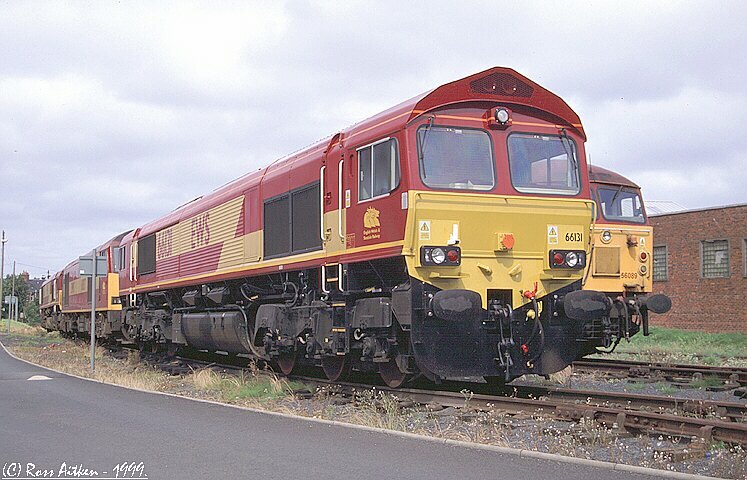 66131 stands in the company of 60037 & 66013 at Ayr T&RSMD on Sunday 8th August 1999. 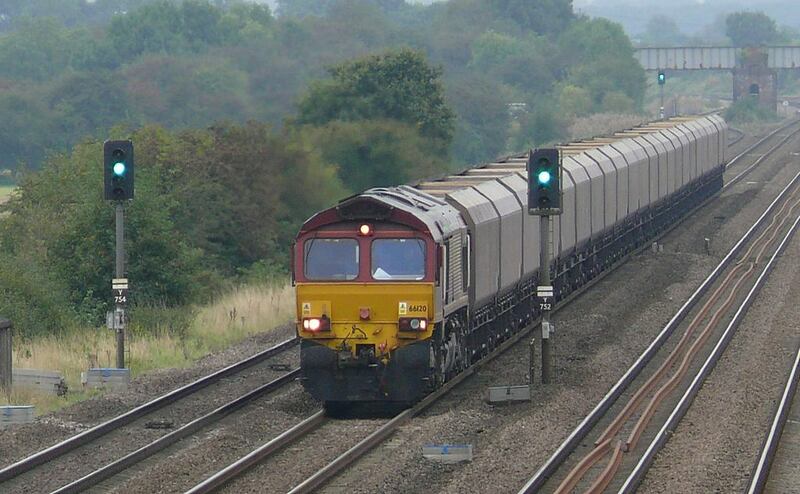 To the right of 66131 is 56089. 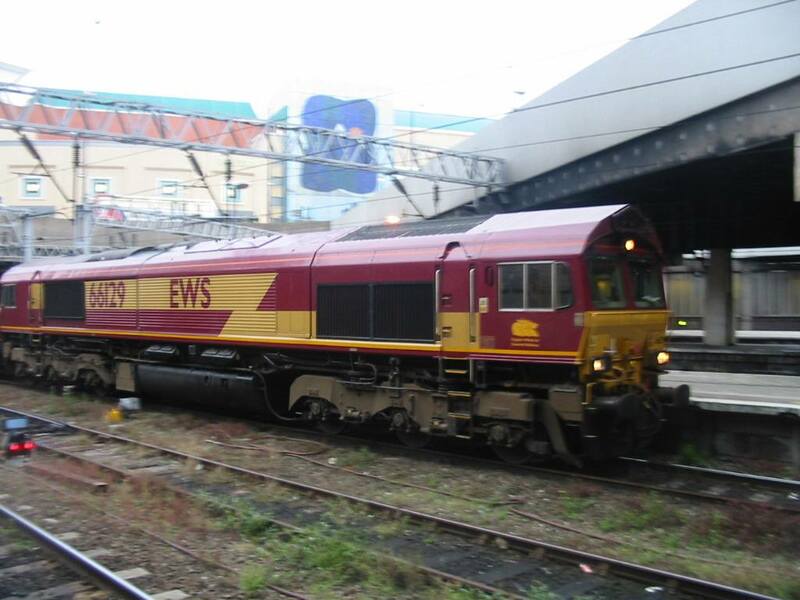 EWS Class 66 diesel locomotive 66130 runs eastbound through Cardiff Central station. 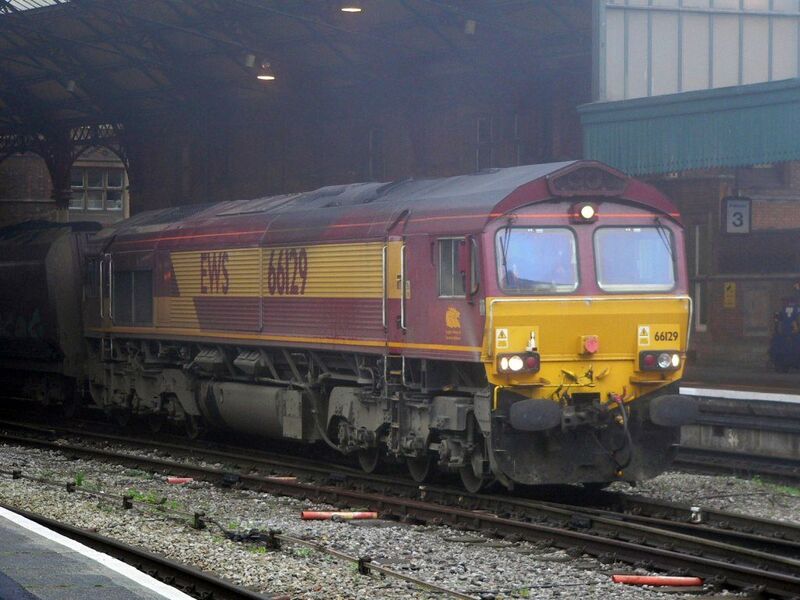 EWS Class 66 diesel locomotive 66129 hauls a train load of imported coal northbound through Bristol Temple Meads railway station en route from Portbury Dock. Photo by Chris McKenna 7/11/2006. 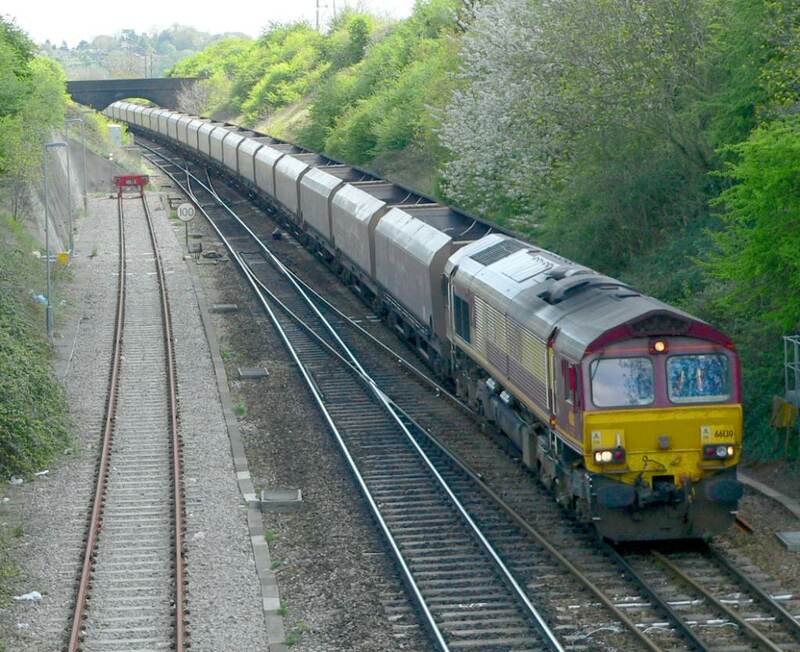 EWS Class 66 locomotive 66125 hauls a rake of empty coal wagons westbound towards south Wales. Photographed looking east from the apparently unnamed bridge about a third of a mile east of Bristol Parkway station. 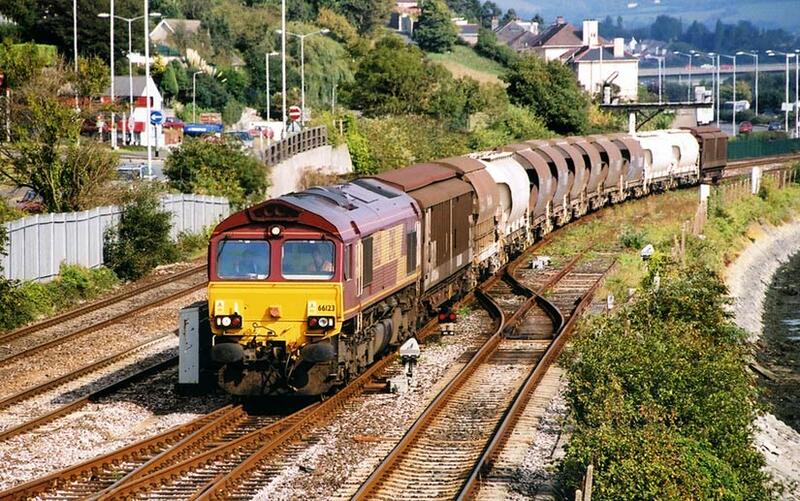 EWS Class 66 locomotive 66130 hauls a rake of empty coal wagons westbound towards south Wales. Photographed looking east from the apparently unnamed bridge about a third of a mile east of Bristol Parkway station. 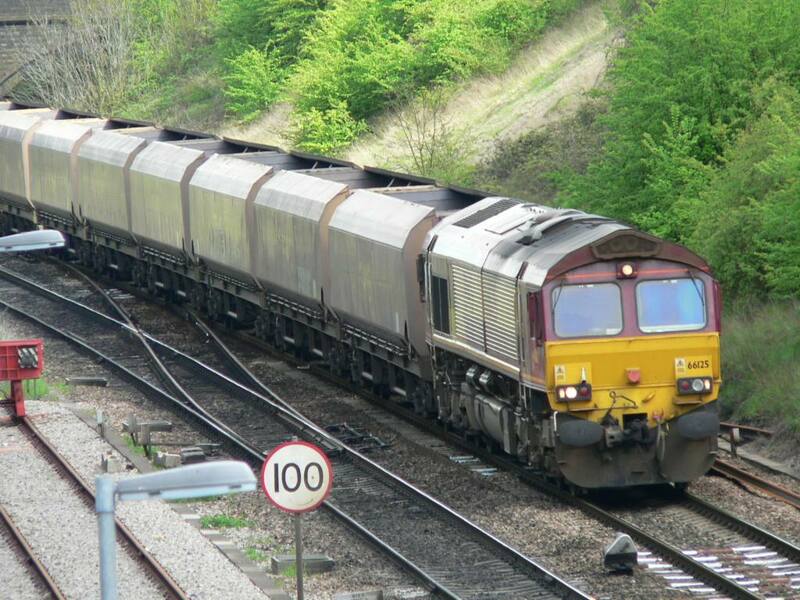 EWS Class 66 locomotive 66130 hauls a rake of empty coal wagons westbound towards south Wales. Photographed looking west from the apparently unnamed bridge about a third of a mile east of Bristol Parkway station. 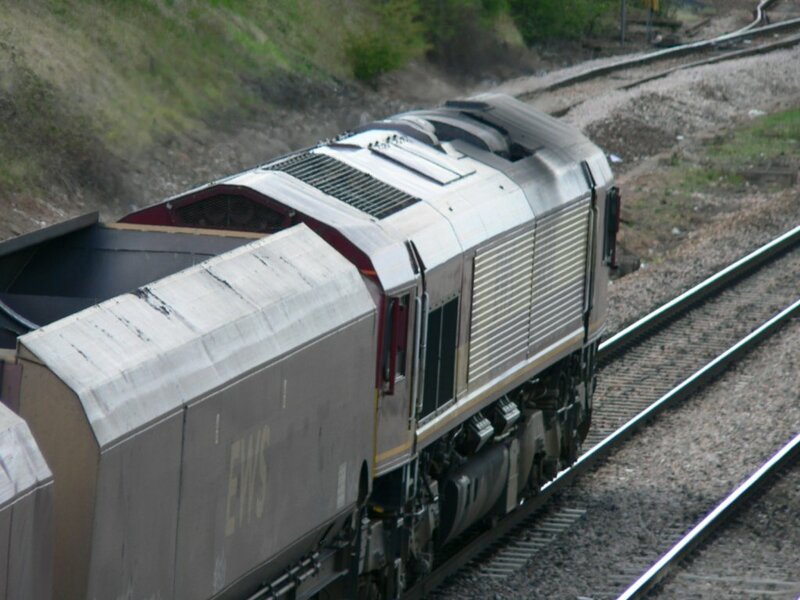 EWS Class 66 locomotive 66130 waits at a red signal at the eastern end of the goods loop at Bristol Parkway railway station with a loaded coal train. Having earler brought a load of empties eastbound it is now making the return journey. Photographed looking west from the apparently unnamed bridge about a third of a mile east of Bristol Parkway station. 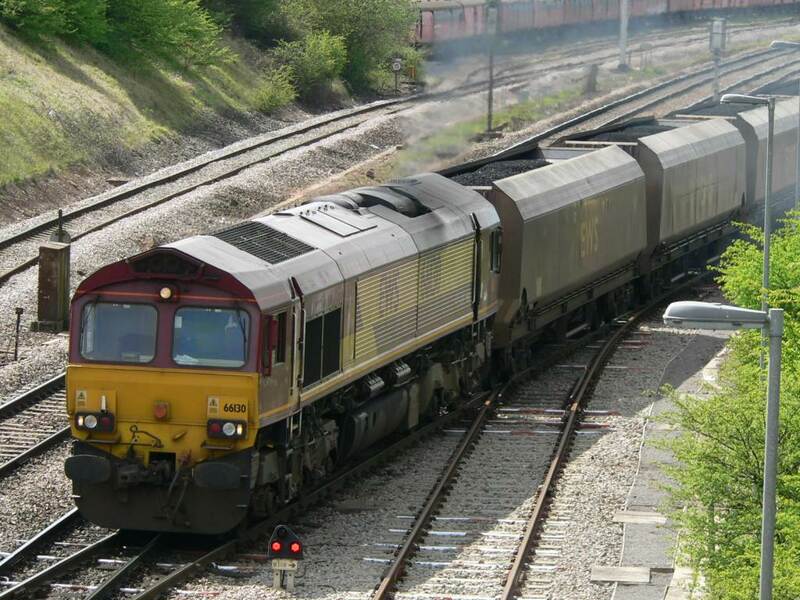 EWS Class 66 locomotive 66130 rejoins the mainline at the eastern end of the goods loop at Bristol Parkway railway station with a loaded coal train. Having earler brought a load of empties eastbound it is now making the return journey. Photographed looking west from the apparently unnamed bridge about a third of a mile east of Bristol Parkway station. 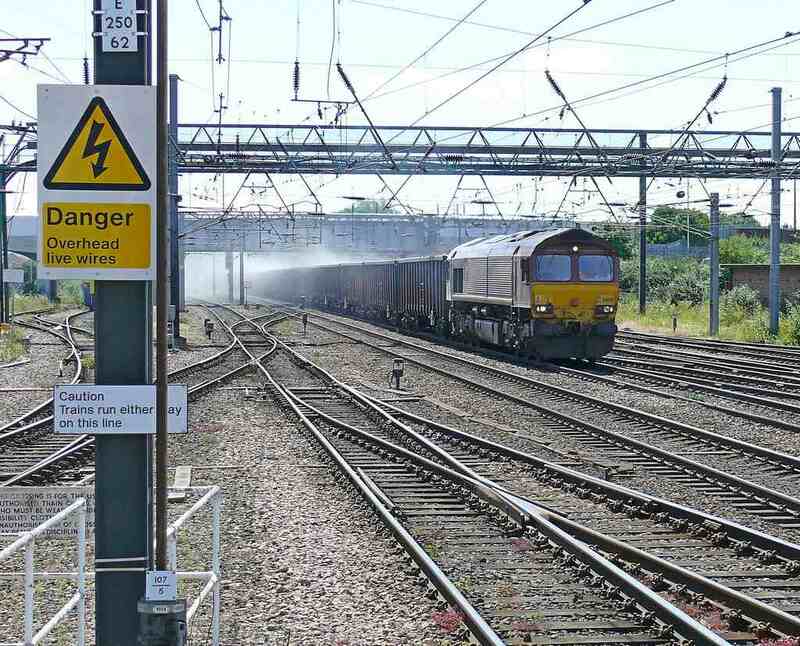 66 124 running through Doncaster one Sunday afternoon in September proving that EWS stands for Everyone Works Sundays! 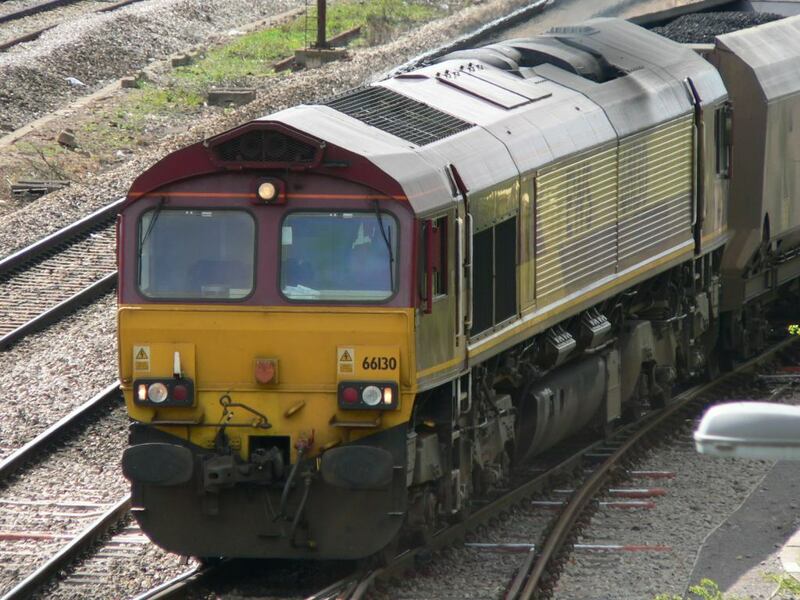 These locomotives have more or less replaced the Class 37's on freight duties, and are making inroads on Class 56 & 50 workings. 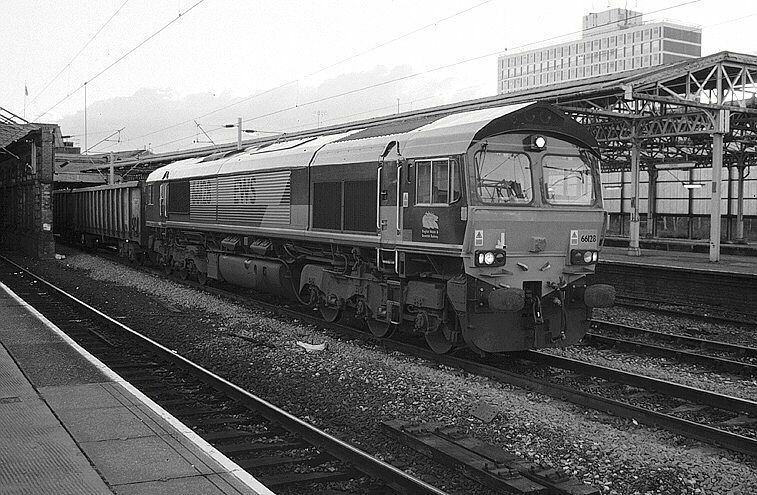 EWS class 66 diesel locomotive 66129 passes through Birmingham New Street station with a ballast train. 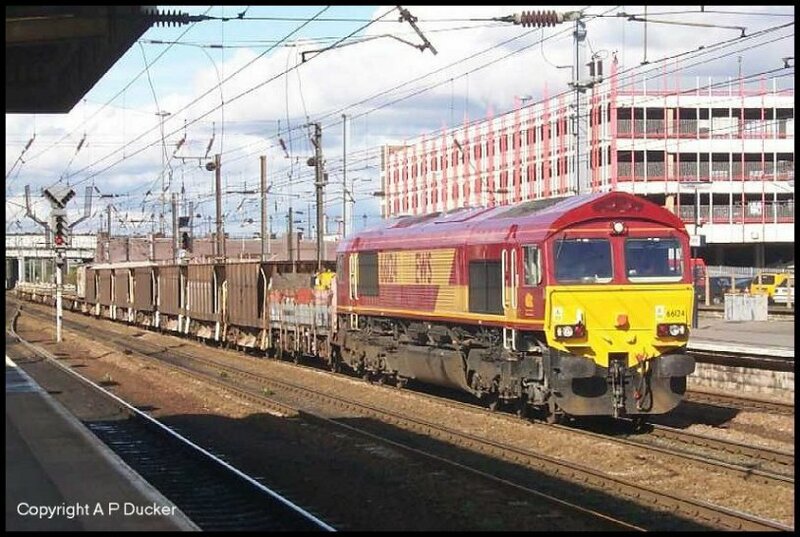 Photographed by Chris McKenna at Birmingham New St station 15/08/2004. 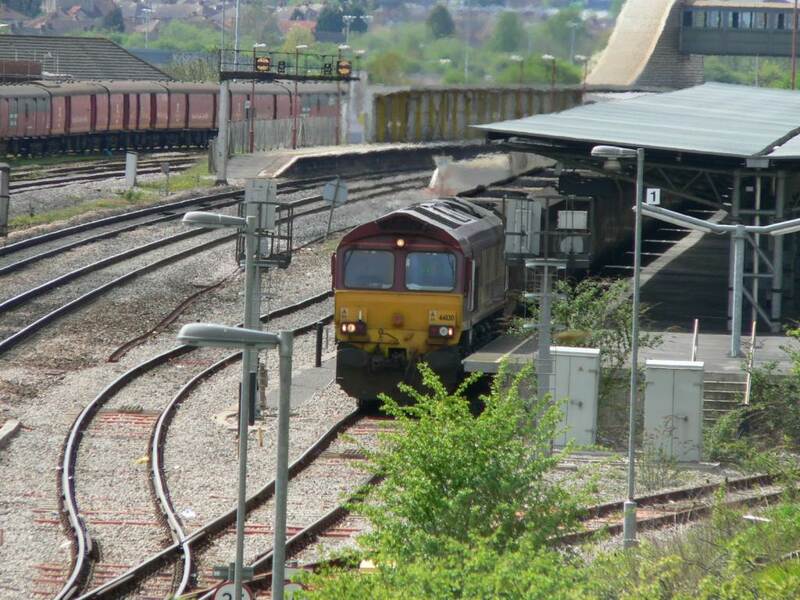 A freight train hauled by EWS Class 66 diesel locomotive 66131 waits at a red light at the southern end of Bristol Temple Meads station. Photo by Chris McKenna 11/07/2005. 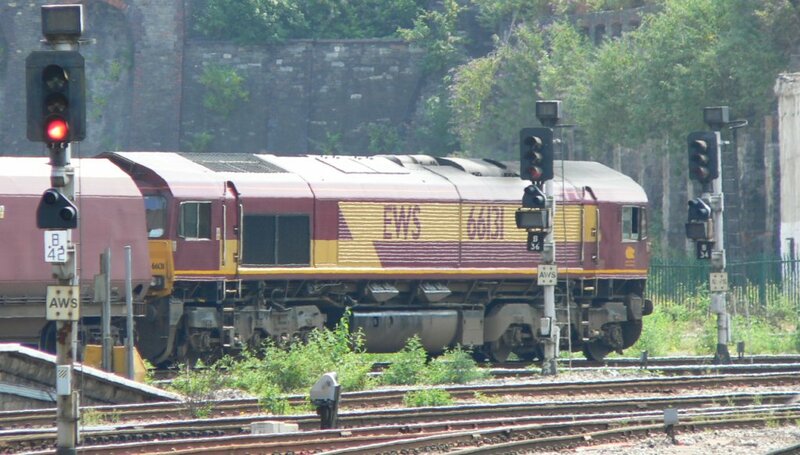 EWS Class 66 diesel locomotive 66131 waits at a red light at the southern end of Bristol Temple Meads station. 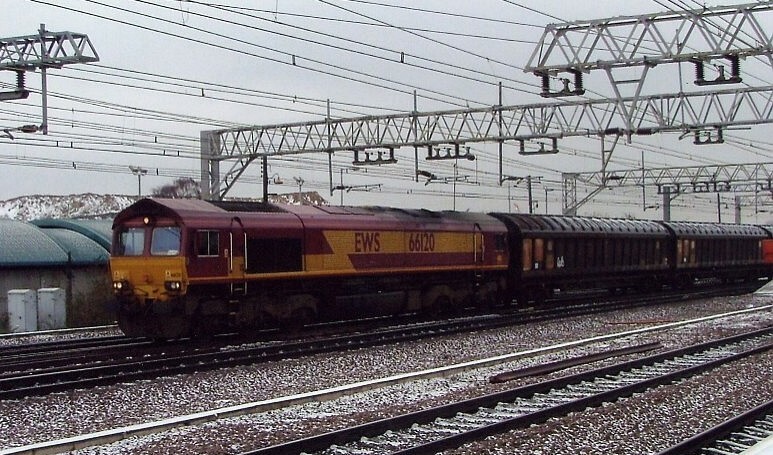 66120 on cargo wagons heads through snow speckled Stratford on the 4th March 2005. 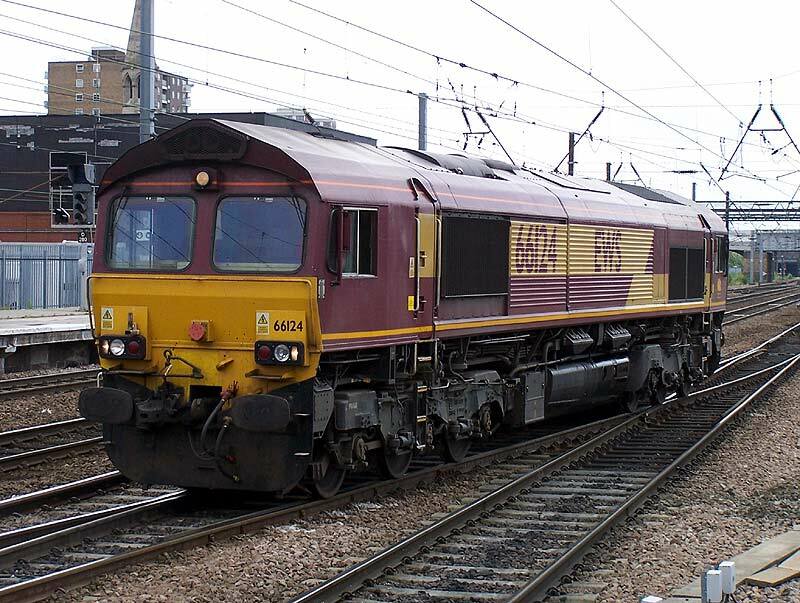 This was the first freight we had seen come off the bend from the Cambridge line for a long time as this track had been closed due to CTRL/Eurostar work.